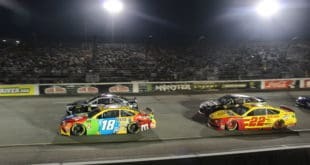 For most of the NASCAR playoffs, the sport’s Big Three of Kyle Busch, Kevin Harvick and Martin Truex Jr. had underachieved. Despite a dominant regular season where the trio won 17 of 26 races, entering Phoenix they’d combined to win two of the last eight. One of those wins, of course, has a black cloud attached after Harvick got a 40-point penalty for an illegal spoiler following his victory last Sunday at Texas Motor Speedway. 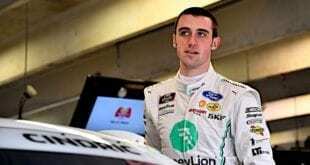 The consequences cost him both crew chief and car chief for the final two MENCS races, leaving him just three points above the cutline entering Phoenix. That left none of the Big Three with a spot secured before the green flag fell on Sunday’s (Nov. 11) Can-Am 500. This trio left themselves vulnerable and nearly paid the price. Kurt Busch led early and arguably had the fastest car on the racetrack. Chase Elliott pushed his way to the front midway through the final stage and appeared the man to beat on long green-flag runs. Aric Almirola, like he has during much of the NASCAR playoffs, improved his car with every pit stop. But in the end, none of the challengers had Lady Luck shine on their side. Kurt Busch got eliminated in a late-race wreck largely not of his making. Elliott was involved, too, after a speeding penalty cost him valuable track position. Almirola had a shot as the laps wound down but couldn’t capitalize on a front row restart with Kyle Busch. Instead, Kyle scooted to victory, both Harvick and Truex behind him inside the top 10. It wasn’t easy, in particular for Harvick, who survived a flat tire under green that left him trapped a lap down at one point. But when the dust cleared, each one did just enough to secure their rightful spot in the Championship 4 at Homestead-Miami Speedway. Indeed, for the first time in the history of this 16-driver playoff format one could argue the best four drivers all year are the ones fighting it out for a title. They’re also some of the most experienced fighting for a championship this way. 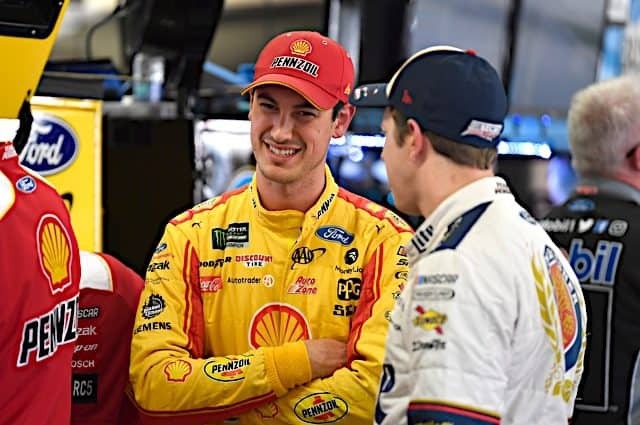 Each of the Big Three has won once under this format; Joey Logano, rounding out the quartet has made the final round multiple times. These drivers know how to get it done and have earned their rightful place at the table. That said, you have to consider Logano a bit of an underdog compared to the top three. He failed to finish Sunday’s race and has won only twice all year. So what’s at stake for the Big Three likely to battle it out amongst themselves? 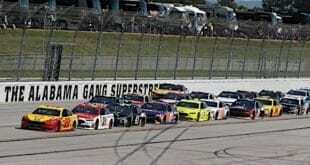 Each are seeking a second title that would raise them another notch in NASCAR history. For Truex, it would be a gargantuan accomplishment considering he’s driving for a team about to close its doors. For Harvick, the big trophy would come two weeks after a controversial cheating call. And Busch? It would quiet critics who bristle at his 2015 title after missing a third of the year due to injury. After crashing out in the first two races in the Round of 8, Christopher Bell accepted the fact he might not make it Homestead with a chance at the championship. 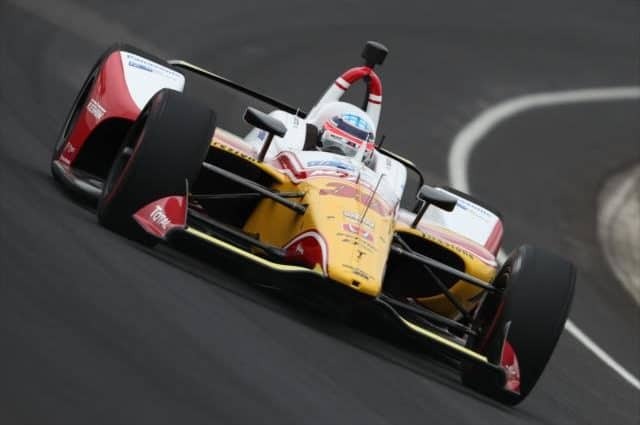 But then the series took to ISM Raceway and the No. 20 team was fast. However, the No. 20 Toyota failed pre-qualifying inspection four times, meaning Bell had to start from the rear and will also lose practice time at Homestead. Methodically, he made his way through the field, taking the lead just past the halfway point. Once Bell was out front, he was never passed, leading the final 94 circuits, even through a rash of restarts. 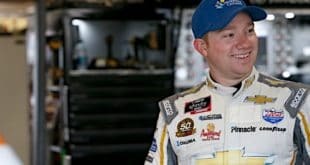 The victory secured Bell a spot into the championship race at Homestead, joining Cole Custer, Tyler Reddick and Daniel Hemric. Hemric finished the race a bridesmaid yet again, with Matt Tifft getting his best-career finish on an oval in third. Austin Cindric and Ryan Preece rounded out the top five. 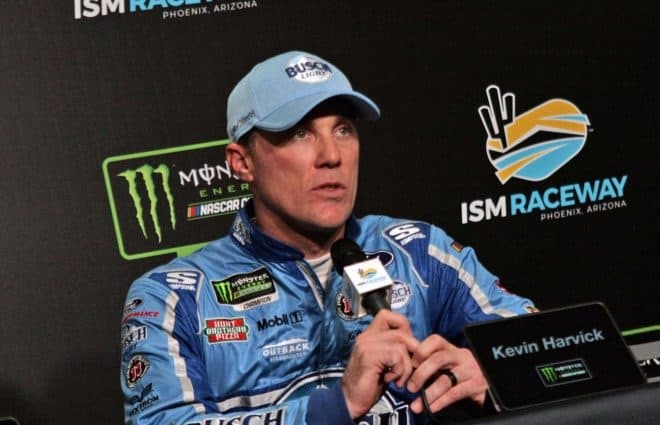 Brett Moffitt made a dramatic three-wide pass for the lead at ISM Raceway Friday night with just three laps remaining that ended in his fifth win of the season and a berth in the Championship 4. The driver of the No. 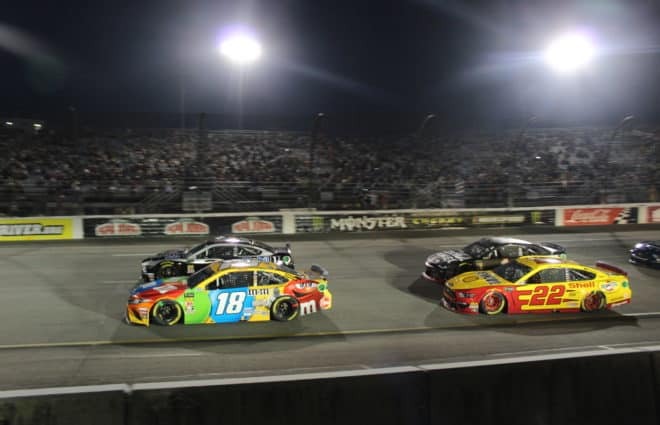 16 Toyota joined Johnny Sauter and Justin Haley as winners in the Round of 6, while Noah Gragson scored enough points to advance for a shot at the title. The victory wasn’t without its challenges for Moffitt, though. Under the stage one end caution, he was caught speeding on pit road and had to restart at the rear of the field. But by the end of stage two, he had rejoined the top 10 and worked his way through the field to be in contention at the end. If not for a couple of late-race cautions, Moffitt likely would not have been in Victory Lane. 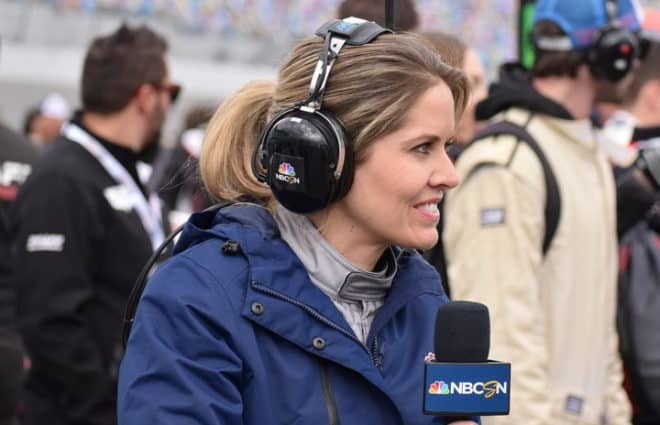 Instead, Gragson appeared poised to ride off into the sunset with a win and the momentum all four of this year’s title contenders would love to have. Bryan Herta Autosport (BHA) announced Friday afternoon at Sebring International Raceway that they will race full-time in the IMSA Michelin Pilot Challenge’s TCR class in 2019. They will not be bringing the i30 N TCRs that raced this year in Pirelli World Challenge, though. Instead, they will race the new Hyundai Veloster N TCR. In addition, Bryan Herta Autosport will serve as Hyundai’s North American vendor of Hyundai TCR cars to customer teams. Despite the fact that BHA itself will not be racing the i30 TCR, it will still be available for sale. The main issue with racing the i30 N TCR in the United States was that there isn’t any real connection to the cars available to the general public. The i30 is sold in the United States as the Elantra GT and there is a Sport version of that car. However, the specific car that the TCR model is based on, the i30 N, is not for sale in the United States. The new Veloster N TCR will have a street version for sale in the United States. The NHRA Mello Yello Drag Racing Series wrapped up the 2018 season in the same place it started back in February with the Auto Club NHRA Finals from Ponoma. One champion was already decided before the race, but three more emerged today, including Pro Stock Motorcycle’s Matt Smith who faced a winner takes all battle for the title with Eddie Krawiec in the final elimination round. With Tanner Gray merely needing to qualify in Pro Stock and J.R. Todd holding a hefty 74 points over second place Robert Hight in Funny Car, Pro Stock Motorcycle had the closest championship race going on with Smith holding just four points over Krawiec entering the event. It would come down to a battle between the two at the end of the day, with whoever won the final round winning the championship. Smith, the fastest qualifier in Pro Stock Motorcycle through the weekend, prevailed with a 6.765 second, 201.22 mph pass, good also for the new speed record in the class. Krawiec ran 6.812 seconds at 198.35 mph in his runner-up effort. Smith also raced his way past Angie Smith, Hector Arana, and LE Tonglet in earlier round competition. Steve Torrence, meanwhile, made it a perfect Countdown, running 3.702 seconds at 330.07 mph in the Top Fuel final to best Tony Schumacher’s faster but losing 3.700 seconds at 331.61 mph on a holeshot. Torrence won all six of the Countdown races, an NHRA first in any of the Mello Yello classes. He also beat Cameron Ferre, Billy Torrence, and Brittany Force en route to the finals. J.R. Todd entered the weekend up by 74 points, so when Robert Hight went out in the first round, Todd officially won the championship, but that didn’t stop him from putting an exclamation point on it by winning the race too. Todd ran 3.872 seconds at 329.10 mph to beat Tommy Johnson, Jr. who posted a run at 3.889 seconds, 327.51 mph. Todd beat Jim Campbell, Bob Tasca, III, and Ron Capps in earlier eliminations. Putting a point on his championship as well was Tanner Gray, who faced off against Drew Skillman in the Pro Stock final. Gray scored the win with a 6.519 second, 211.86 mph run after Skillman redlit on the starting line. Gray also became the youngest professional class champion in NHRA history with his title. He raced his way past Shane Gray, Erica Enders, and Jason Line before facing off against Skillman.